Our revamped Sunday Times Invest includes a new set of questions for Me & My Money, focusing on investment strategies and portfolios. 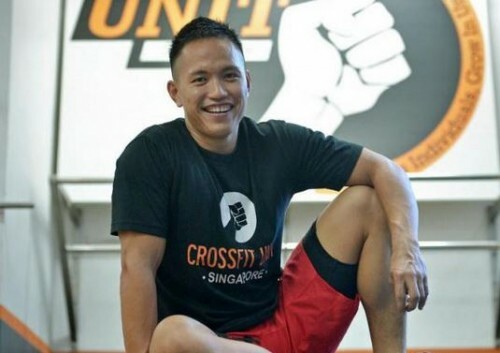 This week, we talk to CrossFit Unit founder Melvin Fu in the final of a four-part series on young people. Trading commodities at PhillipCapital was a lucrative career for Mr Melvin Fu, but he gave up his full-time position there to follow his passion instead, determined to become a sports entrepreneur. He started working for the financial firm's commodity trading department while at university, juggling work and school. He did that for two years, and continued working after graduation. He even took the Capital Markets and Financial Advisory Services examinations to become a certified foreign exchange dealer. Although he was up for a promotion and a pay hike, Mr Fu, now 31, was itching to do something else. The sports enthusiast, who was also a personal trainer in his spare time, said his life changed when he took part in a CrossFit regional competition in South Korea in 2012. CrossFit is a high-intensity strength and conditioning programme that originated in the United States. "I met many people at the event - some were purely athletes, others were coaches too. I saw how they trained and learnt about their experiences running a CrossFit 'box'. "I had the opportunity to meet representatives of the US-registered CrossFit programme, which I could turn into a business. I'd found a vocation where I could combine work and my passion for sports." In 2012, he opened CrossFit Unit in Playfair Road, taking a 1,500 sq ft space in an industrial area. The business has grown - he is moving to a 3,500 sq ft spot at Citimac Industrial Complex in a few months, and has 80 to 100 clients. The new MacPherson outlet will include a showroom for retail specialised CrossFit equipment. Mr Fu still supplements his income by trading, but derives real joy from transforming clients' lives. "I have a client who's done CrossFit for 11/2 years now. He used to be very shy - an introvert who was very conscious about himself." Mr Fu says, at first, the client could not do a single pull-up; today, he can do 15. "It's not just the physical change in him. He has come out of his shell - in both his character and his outlook on life. And he's still growing as a person." Mr Fu says that the client's determination and willingness to try something different have motivated him as well. "It serves as a reminder that the business is not just about money. I can make someone happy, and it's also about helping people fulfil what they want to achieve." A I'm the younger of two boys, and we were brought up in a comfortable environment. When I was younger, I was very much an independent child. While others were having holidays overseas during their school term breaks, I was out looking for work, so I would not have to ask my parents for an allowance. At 16, I went into an eatery and asked for part-time work, ready to wait tables or slog in the kitchen. I didn't feel such work was degrading even though I had middle-class working parents. My father was a shipyard chargehand; my mother, a hospital supervisor. She wanted the best for me, and allowed me to pursue my dreams even at a young age. My father, now a part-time taxi driver, also encouraged me to pursue my dream. I haven't put money on the table for household expenses for the past two years, but my family has been forgiving and supportive. A Believing that investing in further education would help accelerate my climb up the social ladder, I made it a point to attend university and I gained some life skills while working at PhillipCapital. l must admit that, with the right monetary investment, one can reap the rewards later on, but education was my first big investment. I've realised that investments can go beyond monetary terms. Without that basic investment in education, I would not have been able to start my own business, for instance. I got interested in investing while I was working at PhillipCapital, where I saw millions of dollars being multiplied overnight. But I learnt that one must be very prudent, cautious and sharp when selecting investment instruments. My investments in CrossFit Unit have shown the promise of greater growth, so I haven't looked back. A It's all about prudence. You spend on, or invest in, only what you can afford. Always have an entry price and an exit price. That applies to everything in life, not just trading. You must know how much you can make and how much you can lose. Behaviour management is important as well. Never let emotions get in the way, or think that you can beat the market. Trading skills require self-discipline - the ability to control yourself so that you can achieve what you set out to do. In business, anything can go wrong. Operating a business involves long hours, but the stress of running an active business is different because everything you do has an impact on other people. In order for your business to grow, you must consider not only what would be in the best interests of the business, but also what would benefit the people supporting your business. Then the business will grow. Q What do you invest in? A I have a portfolio of insurance policies - largely major illness and whole life insurance. Most of my funds have been invested in CrossFit Unit. Over two years, I have pumped more than $150,000 into the business, and this is one major investment that I am very passionate about. I believe it will create a major turning point in my life, and help make a difference to people who invested their trust in me. My mother is my single largest investor - she injected the seed money to get me started. Recently, my uncle invested a tidy sum too, to help expand the business . A My perception of money has taken on a new meaning since I started my own business. I used to be a carefree person when it came to spending. When I bought something, I never looked at the price or made comparisons. But now, I've decided that I have to make every penny count. I know I need money to make more money, and I keep an expense account ledger in my office now to help me track my spending. Doing so also helps me to avoid making bad investments or business decisions. A I have great passion for the great outdoors but, strangely, I'm not into travelling to great nature destinations like the Americas or Europe, at least for now. At the moment, my indulgences are good food and branded merchandise. I don't chase a particular brand but when I shop, I go for the best. When I was a student, I developed a taste for the finer things in life. My uncle used to laugh at me for living beyond my means then. These days, I don't need to dress up any more, so I've switched to spending more on enhancing CrossFit Unit's brand. In the past two years, the extravagant purchases have all been business-related equipment. Q What is one of your biggest regrets when it comes to investing? A Not saving money when I was younger. I had the ability to save, but I didn't save much. If I had saved when I first started work, I'd have enough to buy a commercial property by now. For any business, the first thing you should think of is buying a property. Or you can buy residential property after you're comfortable with your investment portfolio. A My girlfriend was just offered a lucrative job in South Korea, and she will be away for three years, starting from September. I'll use this time to invest, build up CrossFit Unit and prepare for my own family life. I aim to grow my business in the next few years, and expand its offerings to include health equipment and a cafe next to the gym. I'm trying to introduce the Paleo concept (which revolves around consuming mainly meat, vegetables and fruit and avoiding processed food). A I don't believe in retiring as I enjoy keeping busy and meeting people. I'm still young, and I will continue to work and grow my business. I'll also make it a point to take my family and girlfriend for regular meals at good restaurants and for an annual holiday abroad. A I live with my parents and brother in a five-room Housing Board flat in Ang Mo Kio. I hope to find an ideal place to start a home in a few years when I'm ready to marry. I move around on a Piaggio scooter, and I also have a pink Vespa scooter nicknamed The Little Lamb.